Home > Products > Ya Ya Creations Eggplant Beaded Acrylic Round Charger Plate 13"
Create a stunning and elegant impression with the Ya Ya Creations Eggplant Beaded Acrylic Round Charger Plate 13". 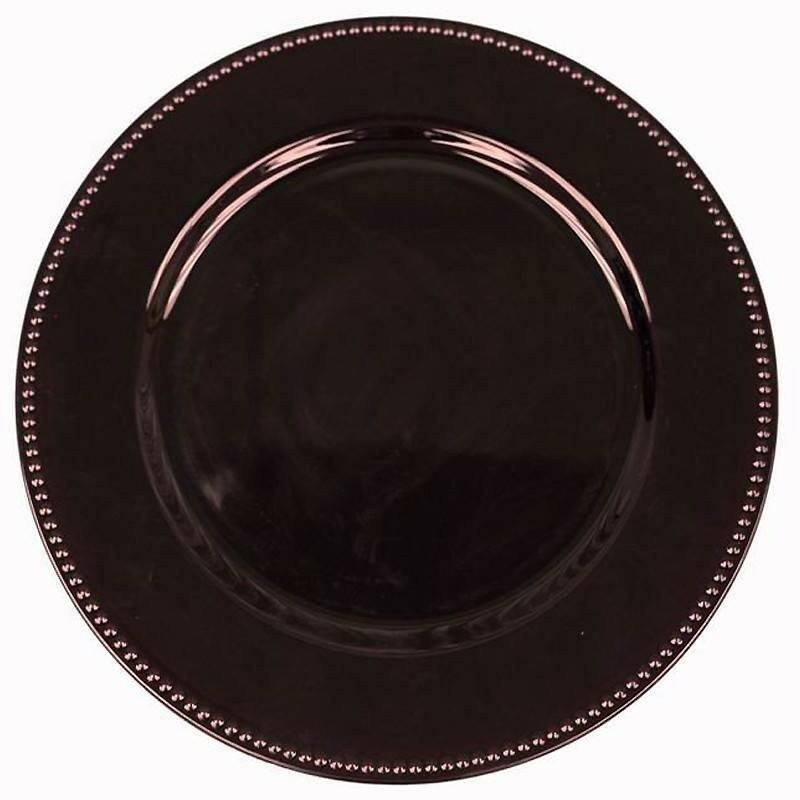 The intricate beaded detailing of this charger plate beautifully frames dinnerware while its sleek eggplant-colored finish provides a striking backdrop against white ceramics and dinnerware. Made from premium quality acrylic, this charger plate boasts a delicate look while being exceptionally strong and durable. Thanks to its ample surface, this charger accommodates standard size plates and provides protection against spills and mess.